55 freehold units on Ladyhill Road. 2 blocks on 101,721 sq. ft of land. Four-storey. Has a Peranakan theme. The apartments feature a "light court" (air well) - an open space with a fountain next to the kitchen and between the main entry area and the back room. This design brightens the living and dining areas by bringing in natural daylight. Construction Excellence Award: In 2003, The Ladyhill scored 91.9 points in the 2002 Construction Quality Assessment System (Conquas) awards, the highest since Conquas was introduced in 1989. The award is given by the Building & Construction Authority (BCA) which praised the "meticulous attention to workmanship" on the Ladyhill. The Equatorial scored 87.5 as top scorer in 2001. Ardmore Park scored 84.4 in 2001. Great location. Opposite Shangri-La Hotel and near Orchard Road. A shallow pool flowing downhill parallels the length of the apartments. FOR SALE: Sep 19, 2000. 20 units said to be sold at $1,700 per sq. ft in 2000. Each unit was sold at around S$4.3 million. In 2003, a 2,400 sq ft 3-bedroom unit sells around $4 million and a 3,800 sq ft penthouse is priced at $5.6 million. As at May 2003, it is said to be around 50% sold. FOR RENT. Rentals were from $10,000. Advert by Owner: The Ladyhill 4+1 2450 sq ft $16,500. Fully renovated. TIPS FOR FIRST-TIME SELLER - "Flipping"
Case study 1: The Englishman Seller was angry that his condo was "flipped". "The Seller is very angry. He was told by one agent called Clara that she could have sold his condo at a higher price and that your Buyer is flipping the property at $3.5 million," said Realtor Lyn who represented the Seller and had co-broked with me to close the condo at $3.3 million. The September 2000 property market was sluggish in Singapore. I had a foreigner who contacted me via the internet and we went for a house-buying tour. This was my first case of a foreign buyer contacting me via the internet. A stranger surfer from a foreign country with $3 million dollars to buy a piece of Singapore real estate? The Wing On Life Garden condo was very beautifully and completely renovated with no expenses spared. The usual white bath tubs and granite walls seen in most of the Singapore's upscale condos. You would expect the high quality marble or granite flooring. Nothing to be excited about. But this condo's living and dining area had been carefully pleated with small light yellow bamboo pieces and they cost much more as they were imported from China. There was a soothing back to Nature feeling on walking on this flooring and we could feel the tree tops of the dense foliage across the Bukit Timah Road from the large balconies of the living area and the master bedroom. There was privacy and tranquility in this particular facing. Therefore the Buyer decided to buy the property and now, the Seller was furious that he had been deprived of $200,000 within 2 days by another foreigner! The Wing On Life Garden condo was over 15 years old but it was not your usual low priced properties so easy to flip. Buyers with $3 million are fewer and are more choosy and to flip within 2 days would require lots of co-ordination in a declining property market. The Seller was very emotional at having "lost $200,000" after agent Clara told him that the Buyer was flipping the property at $3.5 million. It was too late for the Seller as the option to purchase had been signed and given to the Buyer who had confirmed the purchase by putting down an option fee and left for London. Legally, it was possible for this expatriate Buyer to flip as I had included "and/or nominees" after his name in the Option to purchase. I told the co-broking agent not to delete these words to protect my Buyer. Note that the 2002 law prohibits these wordings in the purchase of properties under construction so that speculator (lst buyer) now have to pay the 3% stamp fees on flipping properties. Singapore's stamp duties and legal fees in the purchase of a property comes up to a hefty 3.5% of the purchase price and therefore, he must flip within 2 weeks before he exercised the option. Sellers must be satisfied in their heart when they sell, otherwise they get ulcers listening to "rumours". If the Option Buyer wanted to flip, good luck to him. Just don't permit viewing of the property after giving the Option to purchase to the Seller. Singaporeans and foreigners used to love to flip on new condos in the early 1990s. In the peak property boom of 1995 - 1996, there was a loud public outcry that foreigners were pushing up the prices of residential properties. It was a hot political potato. The Urban Redevelopment Authority released figures that only 17% of the new condo. An anti-speculation law was introduced around 1997. If the Buyer sells within the first 3 years, he has to pay capital gains tax. The government gets a big bite of the profits as capital gains tax is payable 100% for the first year and reduced by 33.3% per year. No capital gains tax is payable after the 3rd year. Political stability, no capital gains tax prior to 1997 and good laws protecting investors have made Singapore a haven for foreigners interested in properties. From the bottom in late 1998, properties prices have had gone up by 30% as at September 2000. As at Feb 2002, many foreigners are buying properties but many Sellers will suffer a loss if they sell now as many had bought the properties at the peak prices. For example, an Ardmore Park 2885 sq. ft has been sold recently for $4.2 million but the Buyer had bought for at least $5 million. 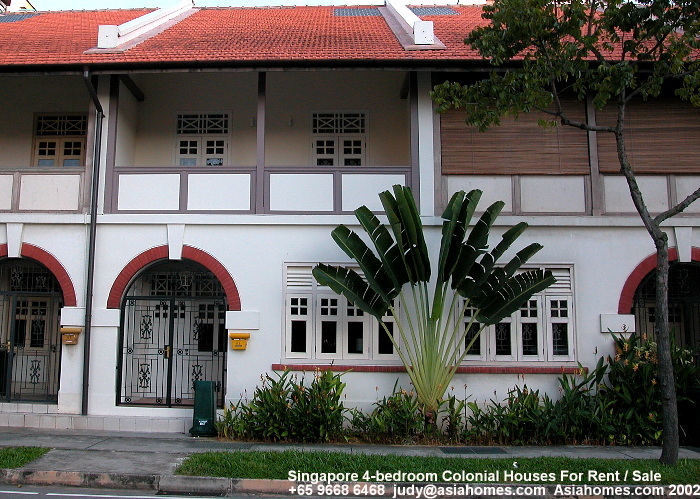 In 2003, foreigners can get local banks to use Singapore Dollars to purchase Singapore properties. 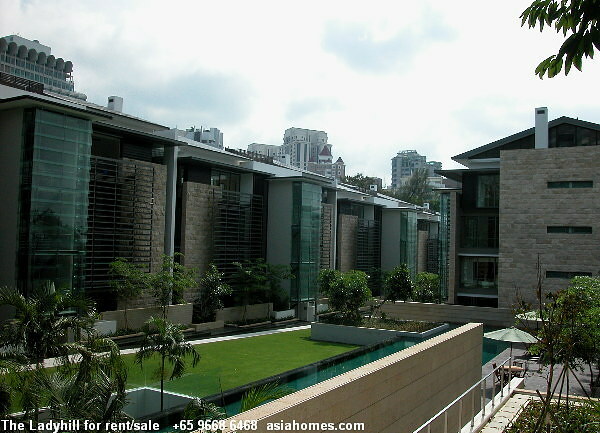 Foreigners interested in buying Singapore properties, email judy@asiahomes.com for appointments to view. TIPS FOR FIRST-TIME REALTOR - HOW TO CLOSE THE DEAL? How was this deal closed? After the evening viewing, you would normally expect the average co-broking realtors to go home and sleep. The Seller's agent phoned the Seller from past midnight till 2.30 a.m. to convince him to sell. His wife was not keen to sell. Singapore's female realtors seem to have more fire in the bellies. This experienced agent was fortunate that the Seller was still in Singapore. The Seller initialed the pages of the Option to purchase but he did not sign. The realtor did not notice that at first and this would cause considerable delay as time is of the essence in real estate deals. The realtor got the wife to sign as the wife would also be overseas soon and later got the husband to sign. The paper was signed by 6 p.m. when it could have been done by noon. Luckily, agent Clara who threw a "flipping bomb-shell" wasn't around between 10 a.m. to 6 p.m. to offer a "higher price" to the Seller. In the real world, expect competitors to "spoil" your negotiations as they act in self-interest to delay the closing. As for me, I phoned a local banker I know, near to midnight to ask her to contact the foreigner to qualify him for a loan saying it was urgent. As anticipated, this banker did not call the expatriate buyer even at 11 a.m. the next day. This Singapore bank (Overseas Union Bank, now acquired by United Overseas Bank in 2002) did not even pay an introductory fee unlike other banks. I followed up and made an appointment for the expat to see the Banker who was kind enough to meet him. The next day, I brought him to the lawyer who would handle his legal matters. The expat's London banker must have given an excellent reference as the local banker approved his multi-currency loan within 24 hours. The banker sent the valuer within 5 days and approved the loan within 24 hours. Do what is important first, since you have only a limited number of hours in a day. Give priority and attention as closure is not guaranteed just because the foreigner said he agreed to buy. Local bankers are not that keen on foreigners getting Singapore Dollar loans and you will need to find a good one who can do multi-currency hedging loans to stand by. (From 2003, local banks are permitted lend money to foreign investors in Singapore Dollars). Foreign buyers are usually very busy people, being very successful in life and if you do not have your priorities to follow up closely on this case, you would have wasted a lot of your precious time for nothing.